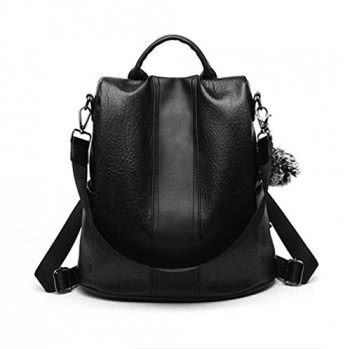 ♥【MATERIALS】—-The fabric of this women’s backpack is made of PU leather and PVC fabric. It is soft, non-toxic and non-polluting, tough and durable. The lining is made of polyester, smooth and soft. ♥ 【SIZE】—- The size of the shoulder bag (length * width * height): 31x 12 x 30cm / 12.20 x 4.72 x 11.81 inches. Adjustable shoulder straps are suit for everyone. ♥ 【HUMANIZED POCKET STRUCTURE】—-Exterior: 2 front zip pockets, 2 side pockets, 1 back pocket. 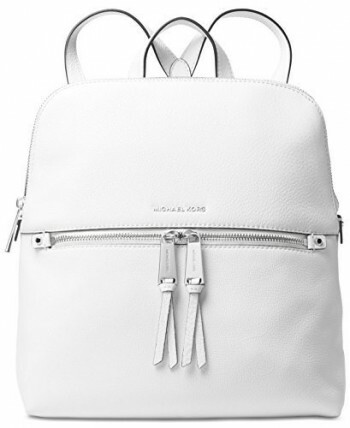 Internal: 1 main pocket, 1 zipper back bag inside, 1 mobile phone bag, 1 document bag. The side pockets can be placed in an umbrella, a drink, a paper towel, etc. easy access. The back pocket can be used to store valuables such as mobile phones, which can be used for theft prevention and easy to access. ♥Click “GTESCO”and enter the storefront, you will find more treasures. Structure:Exterior: 2 front zip pockets, 2 side pockets, 1 back pocket. 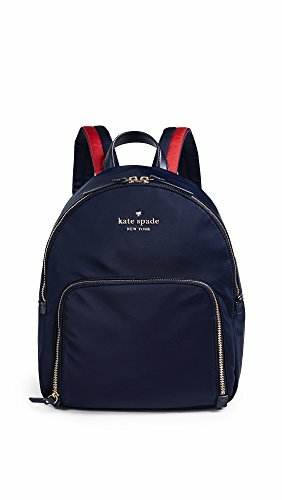 Internal: 1 main pocket, 1 zipper back bag inside, 1 mobile phone bag, 1 document bag. Note♥:There may be chromatic aberration between the physical object and the product image due to the shooting effect and the display. ♥After-sales service: If you have any questions after receiving the product, please feel free to contact us and we will help you solve the problem. ♥【MULTI-FUNCTION,LARGE CAPACITY】—-♥1, Multi-purpose Use Bag: Can be used as a backpack, shoulder bag, handbag, to choose different ways to use according to your preference. ♥2, Large Capacity: Can store mobile phones, iPad, A4 magazines, cosmetics, umbrellas, cups, documents and so on. Whether shopping or traveling, it is a good consideration of all the items that can be brought to meet your needs. ♥【INTIMATE DETAILS,FASHION SHAPE】—-♥1, Fashion zipper head, smooth zipper,feel free to pull the zipper, it won’t get stuck; Comfortable hand rope,to ensure the comfort of your hands; Elegant printing, fashion and classic;High quality hardware fasteners,strong load-bearing capacity. ♥2, Stylish Shape Design: The whole package is three-dimensional, the package shape is contoured，and the lines are simple and soft, highlighting the beautiful tailoring design and the exquisite edging process.